Castle Electric offers knowledgeable and trusted electricians who are trained	to handle even the toughest job. We won’t just send out an electrician	just to tinker around. Our highly trained technicians understand a broad	spectrum of services. We strive to impress each and every client with	only professional, experienced and educated personnel. We guarantee to	tailor each service to the project’s specific needs. 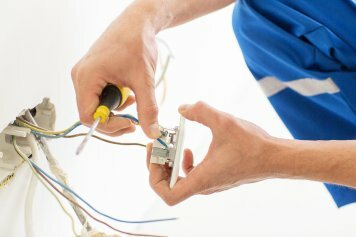 Whether you need wiring, panel upgrades, or new construction for your addition	our electricians have the necessary skills to complete any task. We pride	ourselves on being able to offer our customers the best in electrical services. Contact us today to schedule your appointment with a trusted electrical	contractor.